Like most people, you probably don’t relish preparing your annual income tax returns. But what happens if you don’t file your taxes? The simple answer is that you will incur back taxes. What are back taxes? Back taxes are taxes which are not paid in the year that you owe them, which causes you to be delinquent in the eyes of the IRS. When you’re delinquent, take control of your situation by protecting your rights and coming up with a plan. A tax professional from Potter & LaMarca can be a valuable resource to help you complete your tax return filing in a timely and affordable manner. Receiving a notice from the IRS would raise anyone’s blood pressure. Before you jump into action, contact a qualified tax professional for advice on how to resolve an unfiled tax return. Contact the IRS and a tax professional immediately if the IRS has already started contacting you to collect. You can ask the IRS to briefly halt any collection activities until you have secured tax representation. Do not hesitate to do so, as a long delay will only make things worse. Although you shouldn’t delay tackling your tax problems, you need to know your legal rights before taking action. A licensed tax professional can help you understand your rights and teach you how to file back taxes. You might have more possibilities and payment options than you think. No matter why you’re delayed, file taxes as soon as possible. A late tax return can be expensive: The failure-to-file penalty can be ten times as much as the penalty for failing to pay. The penalty for late filing is 5 percent of the unpaid taxes for each month that the tax return is late. The penalty for late payment is 0.5 percent of your unpaid taxes for each month that the payment is late. Each day you wait to initiate your tax filing and pay, the worse your problem will become. Make sure you file in a timely manner so the penalties don’t skyrocket. Individual taxpayers might get an extension of time to file tax returns by up to six months — or longer if you’re located overseas. To request an extension, file Form 4868, which extends the filing deadline but not the payment deadline. The IRS might be willing to set up a monthly payment agreement if you owe less than $50,000 in combined tax, penalties and interest, and you’ve filed all your required returns. Short-term installment agreements might be available for balances up to $100,000. Use the IRS online payment application to find out whether an installment agreement is available for your situation. Although you don’t want to increase your personal debt in addition to your taxes due, you might choose to make a payment by credit card to help you take care of your tax bill. Even though you might end up paying interest charges on your credit card balance, depending on your credit card interest rate, that might still be cheaper than paying the IRS’s fines and interest charges. Taxes paid by credit card go through a commercial payment processor, not the IRS, and will incur an added fee that might be tax deductible. 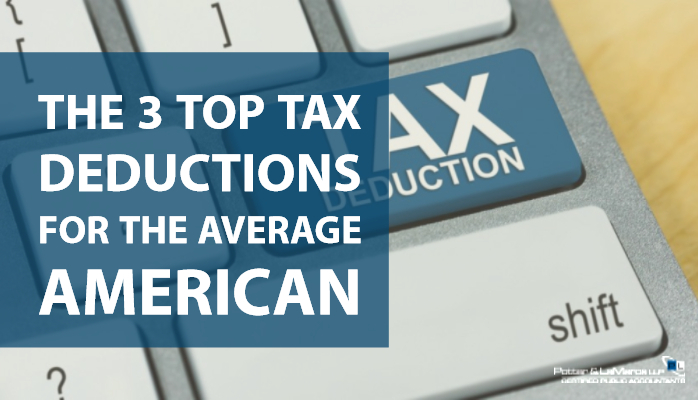 Check the IRS’s website for a list of processors. 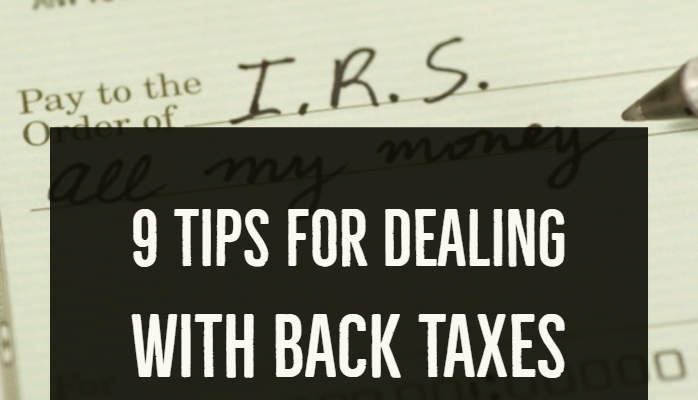 As a last option, you might be able to negotiate with the IRS. If you can prove that you cannot afford to pay your taxes, the IRS may be willing to make a compromise and reduce your balance. To ensure delivery of your communications, send everything to the IRS via certified or registered mail. For registered mail, the date of registration serves as the postmark date. Save your receipt for proof that the return was delivered. Don’t let history repeat itself and dig an even deeper hole of tax penalties and debt by missing the yearly tax deadline. Also, don’t make the mistake of thinking you shouldn’t file the current year’s taxes because you failed to file last year. The IRS will hold you responsible for each delinquent tax return. Most importantly, never ignore the IRS. If you do not take heed to any letters or calls you may be receiving from the IRS in an attempt to collect back taxes, it could lead to serious consequences such as bank levies, tax liens and wage garnishments. If you are behind on your taxes or have received letters from the IRS concerning back taxes or other tax related issues, click here to speak to a tax professional at Potter & LaMarca.